Dispel the notion that all of Oregon is wet and rainy. In truth, families can experience nearly any climate and terrain within Oregon’s borders. Want a beach vacation? Oregon’s got it. Feel like camping in the mountains? Sure! Interested in a cultural city stay, a farm tour, or a desert excursion? Oregon has all of that, too. 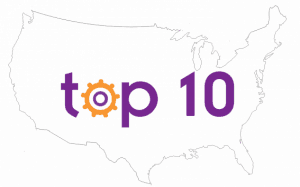 It’s only fitting that our “Top 10” list for Oregon reflects its geological diversity! 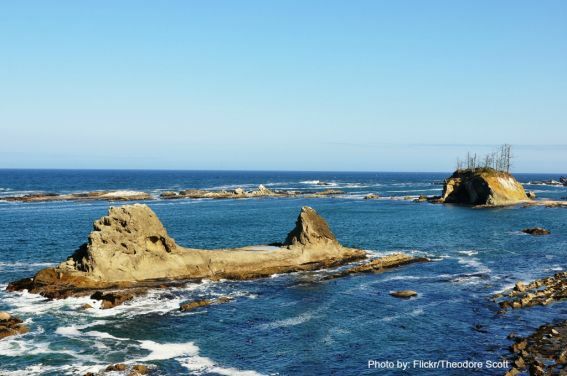 Without further ado, here are Trekaroo’s Top 10 things to do in Oregon with kids. Stay at these Family Friendly Hotels in Oregon. 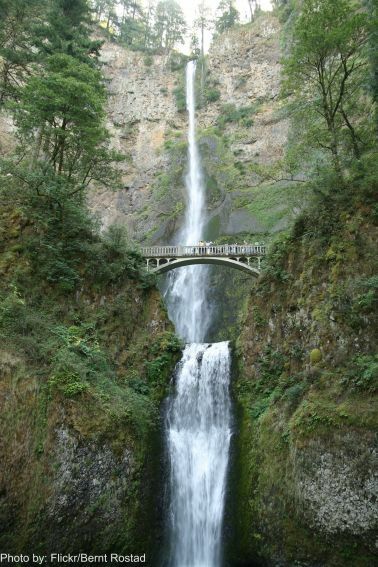 Located 30 minutes outside Salem, Oregon, Silver Falls State Park is home to the Trail of 10 Falls. 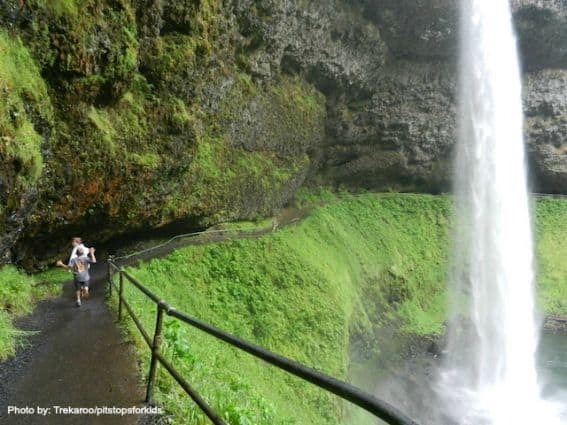 This trail loop in the heart of Oregon old-growth forest takes hikers along Silver Creek past—you guessed it—10 waterfalls, four of which are big enough to necessitate the trail winding along the rocky canyon wall behind them. The trail is over eight miles long, but families can take a shorter loop with young kids. The camping at Silver Falls is excellent, with rustic cabin stays or traditional camping sites available. An advanced camping reservation through Oregon State Parks is advisable for this popular park. In Lincoln City, Oregon’s wide-open beaches and windy conditions make it ideal kite flying climate. 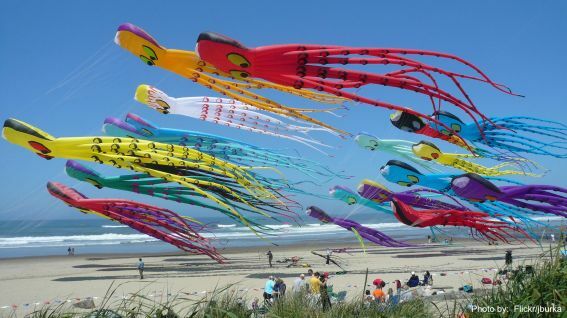 In fact, Lincoln City beaches are known for the “sport.” Even if you can’t visit during Lincoln City’s annual summer kite festival, families can pick up their own kites at shops such as Catch the Wind Kite Shop. Scenic coastal hiking, beachcombing, shopping, and dining will fill the rest of your hours. The Pacific may be too chilly for a swim (no matter the season), but the kids will hardly miss bathing suit weather with so many activities. Find family-friendly Lincoln City lodging. 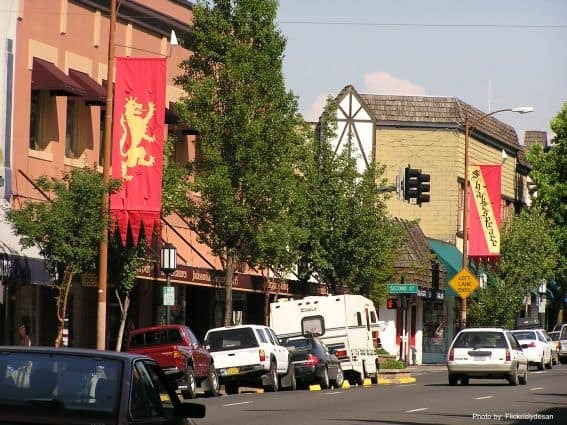 The quaint college town of Ashland, Oregon near Oregon’s California border is known for its theater scene, and recently, its culinary scene. Experience a Shakespearean stage play at the famous outdoor theater or historic indoor theater during the Oregon Shakespeare Festival season (which runs most months of the year.) Afterward, dine casually (yes, even with kids!) in one of downtown’s many farm-to-table restaurants. If you have kids too young for the theater, or need something to do between curtain calls, head to Ashland’s ScienceWorks hands-on museum, or spend a sun-soaked day in beautifully landscaped Lithia Park. Be sure to try to mineral water in the city’s public drinking fountains…if you can stand the taste, it’s said to be quite healthy! Search for discounted theater tickets in the fall and spring, and pair your theater experience with a stay at the historic Ashland Springs Hotel, in the heart of downtown. A short jaunt from Bend, Oregon, in the heart of the high desert, the area known as Sisters Country is comprised of lodge pole pine forests, high mountain lakes, fish-filled rivers, and volcanic buttes. 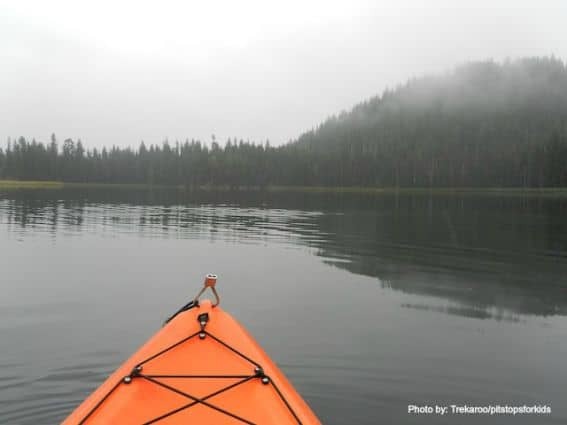 Families can spend a lazy weekend fishing and basking in the sun as this section of Oregon gets more sunny days than any other, or enjoy a kayak tour, or horseback ride. The town of Sisters is one part cowboy town, one part outdoor adventure mecca, and has something for everyone. Book a stay at the peaceful House on Metolius for a vacation filled with rainbow trout, riverside hikes, and ample room for the kids to play. Kayak tours directed by Wanderlust Tours are the best in the state! It doesn’t matter if you’ve visited Crater Lake National Park a dozen times or more: every time you look down at the blue water of Crater Lake, it’s like the first time. The view is awe-inspiring, and this geological wonder only continues to amaze the more you learn about it. Created after the event of the Mt. Mazama volcanic explosion thousands of years ago, Crater Lake is now a wonderful hiking and viewing spot for families. 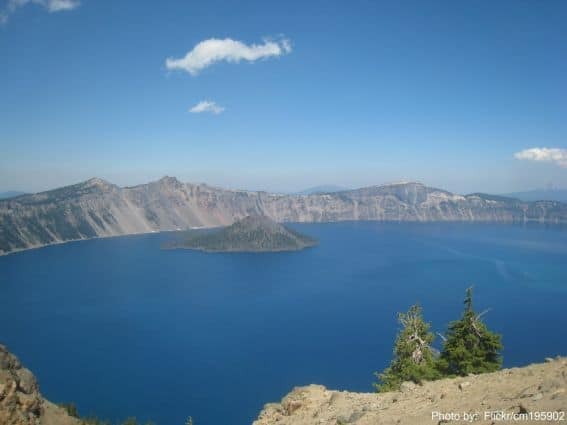 Stay in nearby campgrounds and enjoy a meal at the historic Crater Lake Lodge. A boat tour out to intriguing Wizard Island is a must in summer. If you’re driving from Medford en route to Crater Lake, stop at Union Creek for a hike along the Upper Rogue and generous piece of pie from Becky’s Café! You don’t have to be skiers to enjoy Mt. Hood’s Timberline Lodge, on-site at the Timberline Ski Resort, although that never hurts. Families come to this luxurious yet rustic lodge for R&R, snow play, and delicious yet kid-friendly dining. Timberline Lodge offers hiking, wildlife viewing, and wildflower spotting in the summer, and kids who don’t ski can snowshoe in the Mt. Hood Wilderness in the winter. 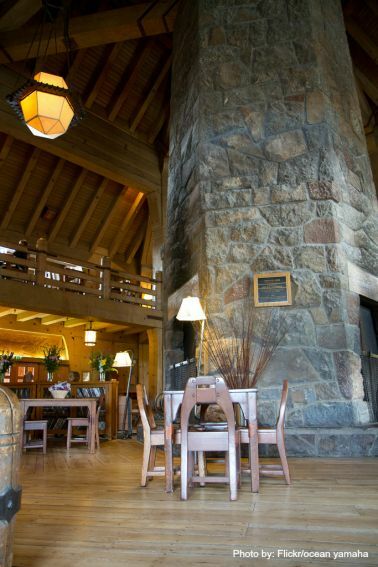 The big lodge breakfast in the dining room is a must: both cozy and filling with a casual atmosphere. If a lodge stay isn’t for you, motels and home rentals are available in nearby Government Camp, Oregon, which is also a gateway to additional ski resorts, gear outfitters, and sledding sno-parks. Oregon State Parks was one of the first park systems to welcome camping yurts to its list of accommodations, along with rustic cabins, luxury cabins, and camping sites. Families can reserve a yurt (a circular one-room building with canvas roof) at a wide selection of Oregon state parks, including our favorite, Sunset Bay. Staying in a yurt is what we call ‘camping light’: families enjoy heat, electricity, and real beds. Bring your own camp kitchens, however, to cook and eat outdoors. While not exploring your Oregon coast yurt, check out seaside towns such as Bandon, OR, for excellent crabbing, beachcombing, and a selection of gourmet candy and taffy. We love to take the coastal trail connecting Sunset Bay to nearby Shore Acres, along with a picnic lunch. Be ready to see seals and seabirds! Additional Bandon, Oregon lodging for those not wanting to rough it! Portland is a city in love with the outdoors. Everywhere you go, you’ll see people walking, biking, rowing, and hiking. Every Saturday, rain or shine, the city population congregates under the Burnside Bridge for the Portland Saturday Market. Families will be entertained by street performers, awed by magicians, and fed by food trucks while perusing the many home-baked and homemade wares. 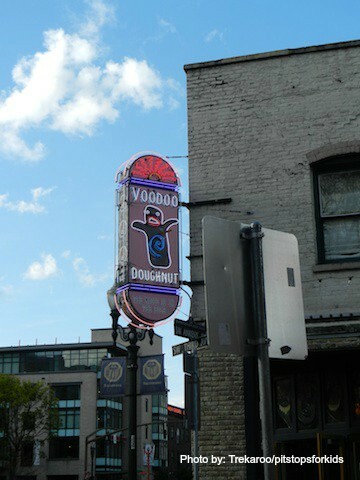 Afterward, stop by nearby Voodoo Doughnuts for one of their unique selections, or pick from this list of fun and cheap eats in Portland. Later, head up to Powell’s City of Books, where you can fill a long, rainy afternoon finding your favorite (or new) titles. If you find yourself with a sunny afternoon, head to the family-friendly Oregon Zoo or walk through the Pearl District. Not sure where to stay in Portland? We can help you out. Alive with history, industry, and greenery, the Columbia River Gorge is a short drive from Portland and yet a world away. Start with an easy hike on paved walkways to the bridge overlooking Multnomah Falls (don’t worry, you can’t miss it on I-84) and then continue on to the Bonneville Dam Fish Ladder in Cascade Locks, Oregon. Kids can see salmon migrating up-river in season, viewed from underground (or underwater) windows showcasing the Columbia River, and feed fish in the fish farms. Ambitious families can hike into the temperate rain forest spanning the Oregon side of the Columbia, starting off at one of many highway-side trail heads, or head all the way to Hood River to watch the windsurfers on the water. Want to see the Gorge from a different perspective? Book a cruise on the Portland Spirit! Oregon is known for its wild side with both wildlife and rugged outdoors. Nowhere is this more prevalent than in the outdoor adventure town of Bend. 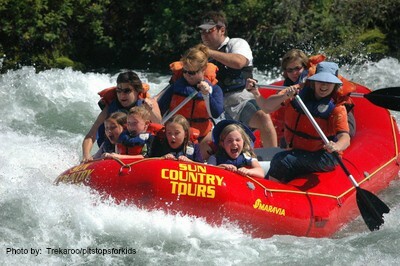 From Bend, families can book excursions on the whitewater-tipped Deschutes River. With tours for all ages of kids, from family floats to full on rapids, Sun Country Tours will show you a good time, no matter what your speed. Once you dry off, head to Lava Lands National Monument to learn more about the area’s volcanic history, or the High Desert Museum to see falcons, river otters, and replicas of Oregon Trail pioneer wagons. For a luxurious place to lay your head outside Bend, read our review of Pronghorn Club.